“How am I going to earn a living?” With graduation fast approaching, this is the question that I and many other seniors are asking. While some already know the answer – and so for them this op-ed is too late (maybe?) – many of us are also wondering about the sort of impact our professional pursuits will make on the world. 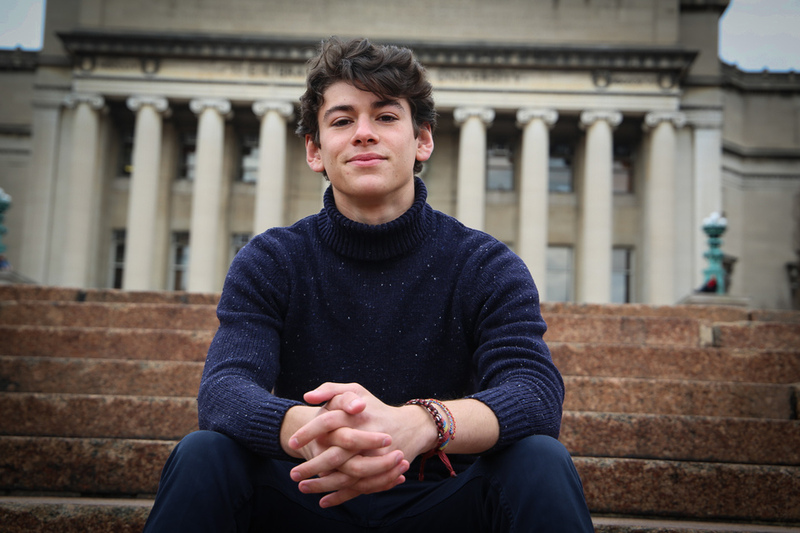 Columbia’s campus is replete with vocal advocates of “doing the right thing”; debating justice and what it looks like in the political realm feels like a focal point of the Columbia experience. However, it is notable that we decidedly tone-down our righteousness when conversation turns to careers. We funnel graduate after graduate into structurally unjust institutions and hear only the echoes of rectitude as we go: “I’m going to change the system from within,” can be heard drowning in the whirling wind of reality. “What else can we do?” we insist indignantly, recycling our time-tested cynical defense. And for most of us this argument is good enough because we know that if we push the issue much further, we will be forced to admit that we like nice things, and that a tiny little moral compromise feels an appropriate price to pay for them. But we also come with more complex, and arguably much more justifiable reasons, too: some of us quite simply need the money. Although some of us have the privilege of not needing to bear the burden of student loans, many of us are not so lucky – and fewer, but some still, have serious financial obligations beyond that, too. Therefore, it is important to note that the extent of our privilege or lack thereof at home certainly affects the justifiability of entering into contract with a morally dubious employer. That said, it does not change the fact that the work we do will make an impact on the world. Option 1: a job that is harmful to the world, but pays well and introduces us to a corporate hierarchy that will pay us more the longer we work. Option 2: a range of alternatives that may pay less, but positively affect the sort of good we wish to see in the world. We can now relax (and maybe even hop on our high-horses about the political hot-topic of the day). It feels good to be assured, once again, that we thought things through and chose to do the right thing. But suddenly, something begins to nag at us. Although we cannot seem to put our finger on it, it feels like there might be a hole in our consequentialist thinking. If we are hardened by the real world, we thoroughly suppress this feeling. Yet, if we have a little bit of idealism left, we start to ask questions like (please read slowly): “What if, in the ends and the means, the means are ends in themselves?” Dismayed by this thought, we choke on the next, “What if the goodness of our ends fails to justify the lack thereof in our means?” Next, “What if time is never conclusive – how could “ends” even exist if we call every moment of our lives, “means””? And then it dawns on us — that “ends” are fleeting, that perhaps “ends” do not exist anywhere but in those present moments we call the “means.” “Alas, everything is encapsulated in moments! There are no ends, everything is means!” The work we do now in our present moments, it horrifyingly seems, is ever indicative of what our “ends” really are! But we regain composure from this madness, stumbling to insist that our ends, what we will do later, are good. We take the present moment to explain how; we say all that we will one day do – all in that moment: But moments are quick. And a moment is but gone. The author is a senior in Columbia College studying philosophy and MESAAS. He believes that the “means” are a necessary part of the “ends.” He also loves the life experience because “it’s about the journey, not the destination,” you know?